Transmission doesn't bundle toolbars, advertisements, twitter tools, or anything else. Its website and forums have no third-party ads or analytics. 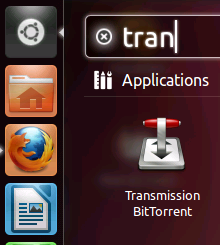 Lost Transmission taskbar icon in Ubuntu 11.10 after upgrading to version 2.50. Anyone else seeing this?